Law enforcement and the justice system face many challenges — in particular, the on-going need to do more with less. In the face of budget cuts and constraints, there’s a constant demand to be more efficient; minimize infractions; reduce criminal offenses, and put more serious offenders behind bars faster – all while maintaining a higher profile on the roads and providing the public with a greater sense of security. Law enforcement is constantly investing in human and capital resources to explore ways to work harder – and smarter – in putting an end to lawlessness. But sometimes there are frustrating events, such as the release of criminals on trial, simply because of lack of crucial evidence. In addition to the loss of millions of dollars in procedural costs, the police and prosecutors have to stand-by and watch years of hard work annulled as gang members accused of murder and other capital offenses walk free with victims’ families watching in disbelief. The outcome may have been different with technology. Possessing the ability to locate, collect, scan and parse unlimited amounts of data with just the click of a mouse are something law enforcement is already doing in many agencies. Police forces regularly use the Internet to collect valuable evidence, while leveraging Facebook, LinkedIn, YouTube, Twitter and other social media to access a wealth of pertinent information. What is needed is a Facebook for law enforcement, one that can access all the information available on a suspect. Not just the ‘who, where and when’, but full transcripts of every interrogation, even those from unrelated interviews where a suspect happened to be mentioned. Law enforcement need to be able to locate recorded video of their suspects from surveillance cameras in police stations, cars and body cams; public transport; courtrooms; grocery stores and gas stations; basically any video collected by their officers force, the judicial system, commercial establishments, or posted on social media by the public at large. They would need to have access to all law enforcement agency ‘Facebook’ sites of every police force in the country with just one click, and the ability to build an iron-clad case in a fraction of the time currently required. The judicial system would also benefit from the same resources with similar efficiency and comparable savings. The time and resources spent by prosecutors and defense lawyers in researching and prosecuting each case would be drastically reduced, and the process streamlined. In the face of solid and comprehensive evidence, guilty pleas would increase when a conviction is all but assured. And finally, the reduction in the day-to-day administrative overhead and workload currently faced by police officers would put them back out in the public and on the roads. Benefiting from ‘big data’ is a function of access. 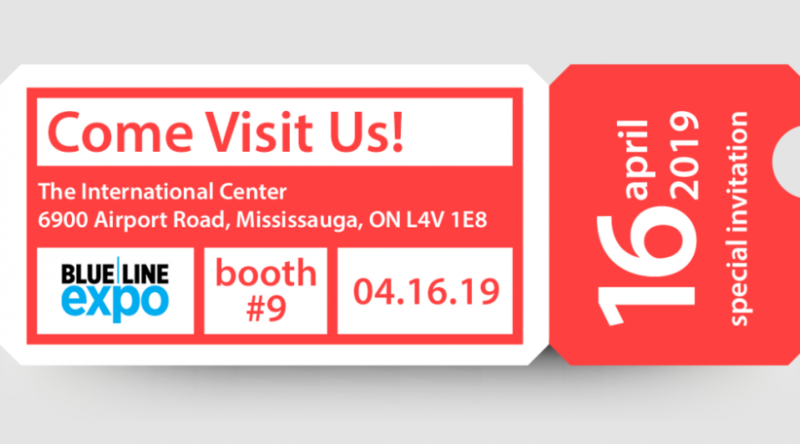 More than 60 percent of crimes go unsolved or end with no conviction due to a lack of information on the offenders, their criminal past, or incriminating proof simply because sourcing all that information takes too much time and resources. It’s not unusual for video evidence to be erased – proof on offenses and crimes that could help secure convictions – just because managing all that data is too difficult, time-intensive and expensive. The solution is a cost-effective infrastructure that provides access to all the necessary information required for successful prosecution and conviction with savings not only for law enforcement agencies but for the judicial system as well. To get there, all parties involved have to be collaborative and connected; from the FBI, state and local police forces to correctional centers, crown prosecutors and defense lawyers; from U.S. Customs and Immigrations to public transport and other public spaces. At first, glance, achieving this level of connectivity would appear to be overwhelming, if not impossible, but not if the infrastructure is built modularly, piece-by-piece. Most law enforcement agencies already have a considerable amount of video content, but usually in different formats and on different media. Interrogations might be on a DVD in a drawer; dash and body cam downloads are stored in their application software; video recorded by investigators are somewhere on laptops or USB drives; public-sourced video is on any computer with Internet access; surveillance video is kept in the alcotest room; and not to mention all those old VHS tapes piling-up in cupboards. But the problem doesn’t end there. Chances are there is little to no information on the content of each recording, assuming you can find it. It’s like trying to complete a jigsaw puzzle with most of the pieces and the picture missing. The solution starts by first centralizing all that video. Once everything is stored in one place, a single application can search, locate and retrieve information on any incident. So now to research a suspect, all you have to do is enter the suspect’s name and in a few seconds, all the pertinent information available on them would appear. Managing the metadata, or Big Data, with coded digital tags that would identify and categorize the content of each video is a critical necessity since officers wouldn’t be able to find information on videos without knowing where and what is contained in them. At first glance, indexing and cataloging every single video clip that comes into a department would appear to be a huge, difficult, time-consuming and expensive task. Fortunately, the data-entry process can now be automated, practically eliminating the manual management of metadata. The problem with conventional surveillance cameras is that they can’t include key content information. But with ‘smartware’, you can source and record video from surveillance systems, analyze the content, annotate it, then automatically organize and store all of it in one place for further research or reference. Dash-cams can provide irrefutable evidence for successfully prosecuting Highway Code infractions, especially if the video includes information on the driver and their vehicle; precise GPS location data; the acceleration, deceleration and speed of the cruiser; along with the type of offense; and even the state of the warning lights and siren. All this functionality would turn the unit into a veritable ‘black box’ for patrol cars. Body cam video is also a valuable source of evidence –preferable to video shot by citizens wielding smart phones. But like dash-cams, indexing, organizing and storing all that video is expensive and time-consuming and only of value if all the data is efficiently managed. But that calculation changes when all the information can automatically be stored in one centralized location. And video becomes even more cost-effective when the content is linked to information in the associated report, including the GPS location on an interactive road map, which can then be made available to prosecutors and defense lawyers. A recent test done in San Diego confirms the benefits of the use of video recording technology, stating that body cams improved both officer and citizen behavior, reduced the use of force by 46.5 percent and the use of pepper spray by 30.5 percent, all with 40.5 percent fewer complaints filed against officers. Surprisingly, the barrier to adoption is not the cost of the cameras or their use; it’s the cost of managing all that data. In Baltimore for instance, equipping 1,435 officers with body cams in the first five years cost only $1.25 million dollars, but managing and storing all the data cost $5.9 million, with annual maintenance of the program adding an estimated $1.9 million per year to the operating overhead. Fortunately, manufacturers now have proven integrated solutions that make the technology affordable and that shares the costs across other applications. Currently, interrogation rooms lack standardized, high-quality video, and often don’t have the capacity to index or share the video files. But next generation systems provide high-quality video with the ability to include valuable information on the content of each interview. In addition, video files and the associated notes can be stored in, and shared from, one secure central location. Interrogation room video equipment itself now offers better tools for recording and viewing interviews. While simultaneously recording multiple high-definition channels, the person recording the video can annotate each file with notes. And an intuitive interface with advanced controls makes it easy to store, locate and review clips, all with a surprisingly short learning curve. The use of video in the courts is gaining acceptance as well, with adoption only being held back by prohibitive maintenance costs. But integrating and automating the process makes the technology affordable. Just imagine the wealth of information available to help in more timely and successful prosecution and conviction. As everybody knows, information sources are almost limitless, and the massive data they generate daunting. Technology keeps surprising us and companies are already offering solutions that make “big data” instantly available to accelerate case resolution and reduce operation overhead. Manufacturers have both the technology and the expertise to make it available, at a price that is much more affordable than you expect. 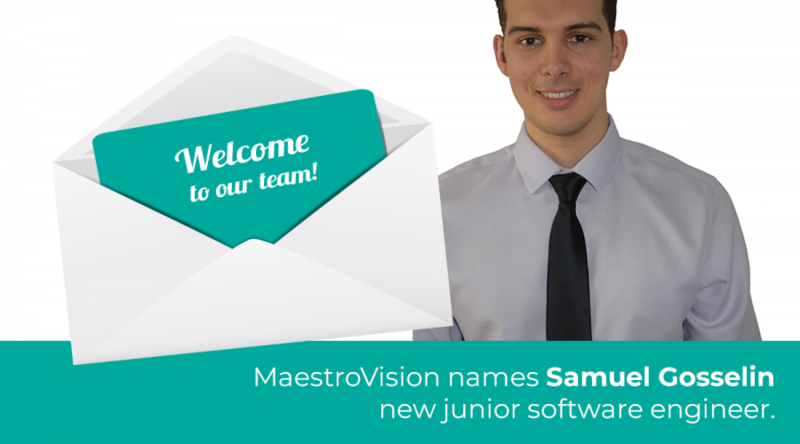 MaestroVision names Samuel Gosselin new junior software engineer. 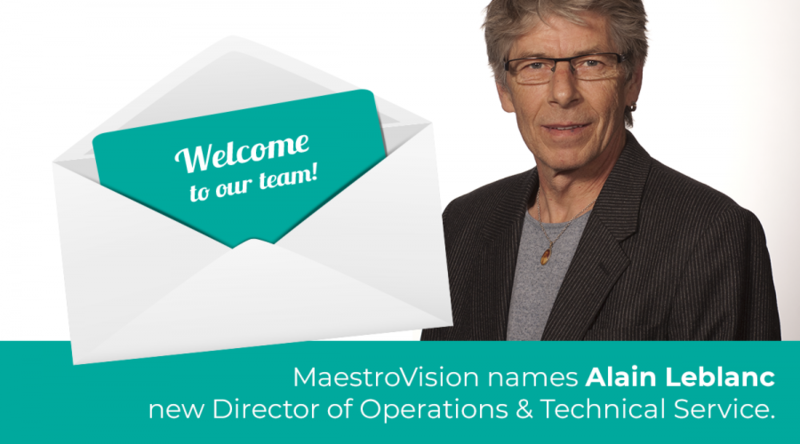 MaestroVision names Alain Leblanc new Director of Operations & Technical Service.